“Doorways and portals make it possible to access other dimensions. Beneath the color scheme of this painting lies a sacred number matrix borrowed from the calendar of the ancient Maya. The water lilies represent your potential for enlightenment. The angelic figure is offered as guardian and guide as you move through this doorway into realms you have yet to discover. This card invites you to contemplate a doorway to your divine center. This doorway will lead past the constrains of third dimensional reality to a place of truth within. Ask your guides and teachers to assist you in moving to a quiet place where you will be ready to receive exactly the information you need at this moment. Listen to the voice of your intuition. Pay attention to any images or messages you receive, no matter how cryptic or obscure they may seem. Note them in your journal and continue to observe how they feel in your physical, emotional, mental, and spiritual bodies as you return to this reality. This is an access point to other dimensions. Respectfully acknowledge the gifts of inner sight. The value of silence, reflection, receptivity and contemplation cannot be underestimated, particularly at this time as the veils become thinner and thinner. There is polarity at play here: that of our technological lives; instant access to friends, family; news and global events coming at us moment to moment from sources all over the world from television to radio to all avenues of social media as well as entertainment in all of it’s varying electronic forms. The natural world calls us: silence, meditation, yoga, prayer, devotion and sacred ceremony. Our Souls yearn for this. We need to learn to balance the overwhelming amount of information and data incoming with our deep and profound need to recognize and honour ourselves and our place in the Universe through receptive reconnection to our Mother Earth and the Universe. Commit to a practice of simple daily meditation over a period of thirty days (to get you started, hopefully it will become ingrained from there) and see how this shifts your conscious awareness. Start with 3-5 minutes of uninterrupted time each morning or evening. Set your intention to be of open mind and open heart, receptive to whatever messages will come through from your angels and guides, ascended masters or the elemental realm. 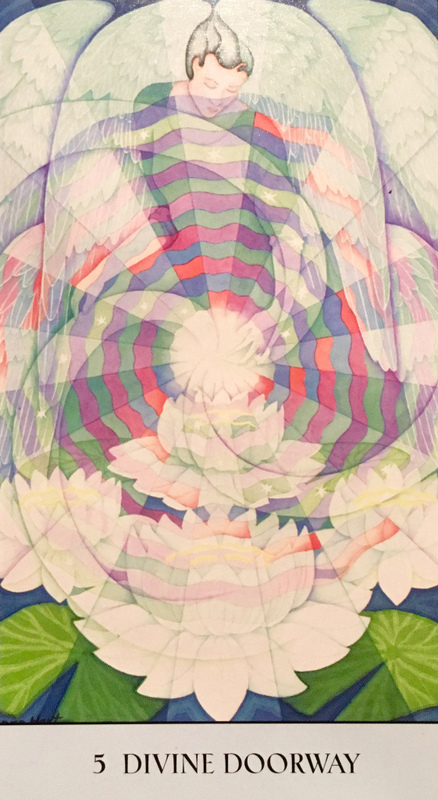 See yourself encircled within a sphere of bright white love and light, protecting you and keeping you open to only the most benevolent of energies and beings. As you become more comfortable, add a couple more minutes to your routine. Don’t beat yourself up for having a busy mind, or for a lack of focus or concentration, simply commit to the practice of sitting for the designated amount of time and see what comes.